Ramee Royal Hotel is an ultimate night out spot for the party-goers of Karama district in Dubai, as it is not only home to it’s Mirchi Nightclub, but Rain Nightclub is also tucked up into this accommodation facility. Since this venue is economical, therefore it attracts lot of middle class people, who love to party with their friends at night after all day’s hard work. The traditions at Rain Nightclub are not much different than the rest of the nightclubs in Karama, as Djs play hit tracks and push the guests towards dance floor, after which the real party begins. Rain Nightclub at Ramee Royal Hotel is an ideal venue to enjoy a night out with friends, as Djs give this place life with their electrifying music and force the guests to jump on the dance floor and show their moves. Apart from this, comfortable sofa seating at this nightclub is just the perfect thing for folks, who just want to sit back and enjoy the spirited atmosphere. 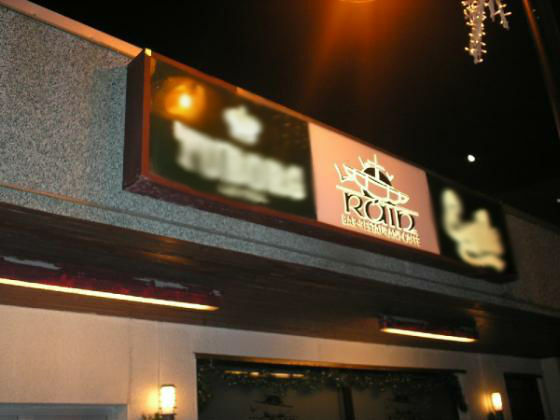 The opening time of this nightclub is 8:00 pm and its operations shut down around 3:00 am. People in Dubai can visit this leisure site on all seven days of the week during these timings. Ramee Royal Hotel, Khalid Bin Al Waleed Road - Dubai - United Arab Emirates. Al Fahidi Metro Station 1 is 9 minutes walk from Rain Nightclub, as the gap between them is close to 700 metres. Therefore, heads in the northeast direction on Al Mankhool Road/D 90 towards Khalid Bin Al Waleed Road/D 79, after exiting from this metro station and then turn left onto Khalid Bin Al Waleed Road/D 79, from where destination is not too far on the right side. 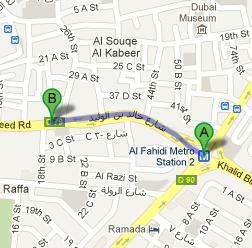 Raffa 2 – Dubai bus stop is 150 metres away from Rain Nightclub. Therefore, a bus passenger can bridge this gap on foot quite easily in 2 minutes, if he or she heads to this venue from Raffa 2 – Dubai on foot. To do so one should head in the east course on Khalid Bin Al Waleed Road/D 79 towards Al Raffa Street that will lead them to the destination that is on the left side. You can use any of these bus numbers 21, 29, 33, 42, 44, 61, 61D, 66, 67, 83, C1, C3, C5, C7, C18 and C19 to reach this bus station. See map for directions.